Although I spend most of my time trading the horses, pre-race. 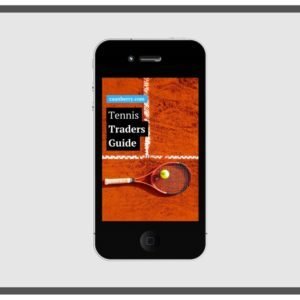 I’m going to share some in-play knowledge with you. In-play racing strategies aren’t usually so appealing to the risk averse, mainly because of the roller-coaster results it can bring. If you’re just starting out, this could be a little much for you though. This little book is more helpful to complete novices. 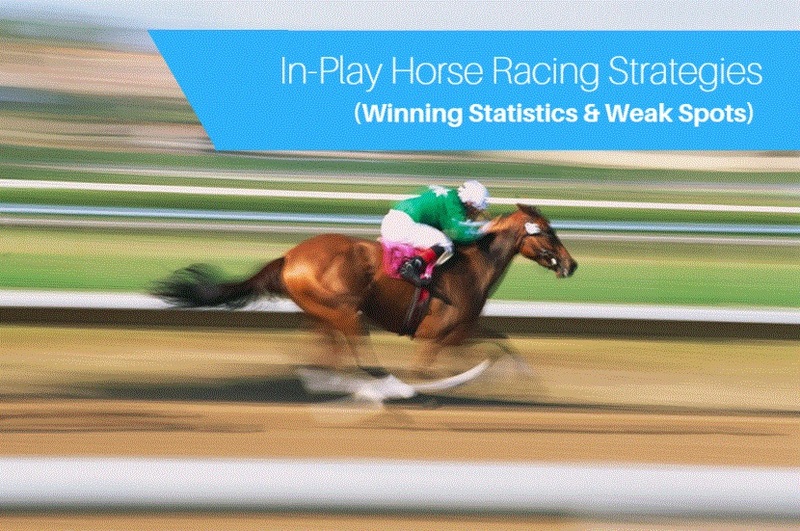 What Makes a Good In-Play Horse Racing Strategy? It’s a fair question. Simplicity is the first attribute that comes to mind. No matter what you’re trading, be it tennis, horse racing or football. Simplicity and clear thinking is the start of any good strategy. When building an in-play horse racing strategy it’s even more important. Why? Because the markets are wild! If you wasn’t thinking clearly, or didn’t have a clear strategy I think it’s fair to say; it’d be a bit of a gamble. I don’t like gambling, or taking a risk personally. If you’re trading in-play manually it’s important to have a strategy, be patient and possess the ability to stick to it! I can see it already, some of you reading this are like “that’s obvious”… and it is, but you’re still not doing it. The best in-play horse racing strategies are dependant upon a weak-spots in the market. Just like pre-race trading. Which weak-spot that is becomes a whole new ball-game though, is it through visual signs (live video), time delays, market psychology, data, or are you going to be one of those people who just offer terrible value and wait for some poor sod in a panic to match your bet? I guess it depends on your personality and what you’re most interested in. But for me pre-race trading is a little more appealing, it always has been. Don’t let that deter you though, particularly if you’re good at holding your nerve when staring at a loss. In-play trading on the horses is frantic, and depending on the market, most are not that liquid. In-play traders tell me it’s not as good as it used to be either… I think a lot of in-play traders gave up when the premium charge was cranked up. Why take so much risk when you have to give a huge chunk away? unless you’re track-side of course. Lower liquidity always means a bit more risk, trying to exit is harder when there’s less on offer to match. Smaller stakes though, it’s still quite workable. On the flip side, lower liquidity and frantic market movements mean you can trade with a smaller bank quite easily. It might be easier to burn your stake in-play but making a large profit-stake ratio is quite possible too. I’m certain the best in-play horse racing trading strategies operate around backing at bigger numbers or laying at very low ones. It’s a lower risk – higher reward game. For manual traders the hard bit is not getting ‘sucked in’ to the action when they can’t get a bet matched or have made a mistake. Overall, for me at least, the opportunity presented offers a stressful days trading… something I’m not into. I’d rather take a steady profit race-on-race every time. 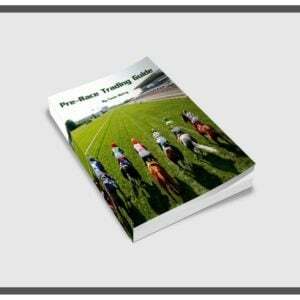 In-play horse racing trading strategies are no different to any other. You need an edge. Not familiar with what an edge is? It’s a weak-spot, a vulnerable point within the market that offers more potential upside than down… other wise it’s just a punt. when a jockey begins to get ‘active’ on a horse early its price shoots out? as a horse takes the lead its odds often shorten? the later in the race the better. camera angles actually affect the market? there comes a point where the market moves all at once? See how, as they come around the bend, the market springs into life. If you had already entered a good position before-hand, chances are you’d be whisked along for a quick profit. It’s a good point to focus on for in-play horse racing strategies. Also think about those that go to the track and bet at the side of it (ahead of the TV). Do they all start betting at the final bend? Is there an edge to be had involving them? The ability to assess how well a horse is running within the race is also a real bonus. Last but not least there’s the hardened-data angle. It’s not likely to be for everyone as it requires collecting number, processing it and filtering the best opportunities. More for the tech-nerds and automaters, although there are a few worth following. I re-post some of the data used by others on twitter here. It’s not for everyone but keep an eye out as I share those that appear useful regularly. Generally speaking, betting on horse racing in-running takes a huge amount of discipline, it’s a tricky task. The reason for this comes down to timing and the volatile nature of in-play betting. Highly sporadic betting markets mean you have very little time to react. Worse still, if you step out of line and make a mistake – there’s a good chance you won’t correct it easily. Just think back to the video example above; if you was on the wrong side of a price as those horses hit that final bend it wouldn’t have mattered how good you are at betting in-running. Maximum opportunity has to be in minimal selection, getting it right, and sitting on your hands in-between. Anything outside of this an you’re likely to just be betting in-running on the horse racing – and there’s no advantage in that. For the tech savvy, and those with a significant time delay there’s no dispute though: in running horse racing betting is lucrative. On this point I guess I’m trying to highlight one issue. There is a big difference between trading in-running and betting in-running on the horses. I feel the need to say this because of the amount of emails and messages we get each week. There is a definite trend forming where some punters think they are trading, just because they ‘cash-out’ their position. In-play trading is an acquired taste. It’s got its own specific positives as well as it’s downfalls, those who have a strong understanding of the sport and an eye for a well travelling horse are more likely to do well. In-play isn’t for the faint hearted, the erratic movements and surprise upsets can really hurt if caught wrong. That’s not to say it’s impossible though. I suspect the majority of good quality trading strategies for in-play horse racing centre around people who have a time advantage, or a pack of little bots chipping away on small stakes. In fact, I used to know someone that did this very successfully. For me I’ll stick to the pre-race stuff as it’s my ‘safe place’. The in-running markets will always be the place the real money is made (and lost 🙂 ) not sure I’d do it manually though. I bot the markets for a living and make at least 25 times money from in play versus pre off. I reckon I could probably double the money I made using the same techniques pre off by manually doing it but doubt I’d make a profit using the same in play techniques,, the market moves too fast and too much info to process to do it efficiently manually. Not trying to put people off as in-running is where the money is , and the more the merrier in the market for us all, but people should go slowly until they find something that works as it’s not as simple as it may appear at first. Of course. Rushing is never a good idea when it comes to trading…. 25 x ? that’s remarkable. 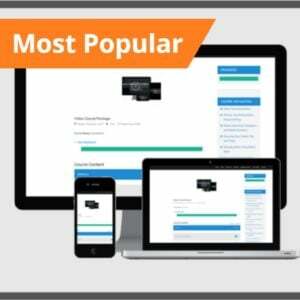 I’ve known a couple of automation geeks over the years who said that automation in-play had got harder. Around 2005 sounded like the place to be doing in-play automation from what I’m told. I trade both pre-race and in-play. Pre-race on the ladders then switch to the one click screen. I’ve been punting for thirty years so have noticed a few pointers that are really useful working inplay. The favourite for example will make a play at some point in the race. It may not win but the market expects it to make a play. Catching the start and end of that play are excellent entry and exit points if you get it right. Mostly I do. However it is really important not to be greedy. Discipline is everything. Decide what you are prepared to lose and get out if things go that way. Staying in a live race is a disaster. It’s also a good idea to set an exit point in terms of the time during the race, say 50%, 75% absolute max. If nothing is happening by that point just forget it. There’s always another race. As stressed above, though, it’s not a good place for the panicky type to be – you do need a cool head. I think that’s a good comment about setting an exit point within the race there. Certainly need a cool head too. Anyone who has a good in-play strategy on the horses sticks to it, time and again. There is no value or advantage in going rouge… no matter what the widespread media says. I trade pre race and inplay. Whilst I feel pre race is ‘the way to go’ for long term trading success, I find it difficult to ignore the success I’m currently having with inplay. I have a strict inplay strategy which today had a 6 out of 6 horse racing success rate today. I only wish that two horses in two other races were not non-runners! After I’ve made my selections in the morning, I place my back bets 30 seconds before post and place my lay orders in the market. I used to manually place my lay orders once the race was underway, but on one occasion ended up closing my trade and opening another (lay order) on a horse that went on to win. £500 down the swanney!. I find my current strategy a lot less stressfull, as at least I know what my downside will be if things don’t work out. I love in play trading I only used small trades ie last week I made Total P&L: £1,035.36 just using £8 trades ..There is no system and I trade each race a bit different but most times I keep my eye on the favourite and 2nd and 3rd too and watch them as the race progresses and as it nears the end I back the one which looks like winning at maybe 3 ish and if its challenged i will back the incoming horse and if it becomes more certain back it gain at maybe 1.5 ish . actually thats only really very basic cos all the way through the race I am weighing up the winner .. I get it right more times than wrong but in any case if I lose I add the losing amount to the next stake and carry on but this is NOT martingale which goes 2 4 8 16 32 64 128 256 NO the way I do it is 2 4 6 8 10 12 14 16 BIG difference and with bank of a couple of thousand foolproof ..I am surprised others dont do this as its never mentioned and I done mind who knows what I do cos its a skill which takes time and patience to master .. Good luck to all in whatever you do …. Hi Gary I’ve been into trading for the last couple of years but I usually trade pre race. I am really interested in your in play technique. Would it be possible for you to share it with me in a bit more detail I understand if not but thought if I don’t ask then I will never know thanks anyway really appreciate either way. He has more data, possibly message him. Using in-running data is a good start… rather than ‘horse form data’. loss, but having a high probability of incurring that loss. The price of every horse will drift in running with the possible exception of the winner. Surely there is a way to take advantage of that. I love trading in play but I do get it wrong from time to time like the one out the back under the whip and it was still only about 6/1 so I got a lay on it and guess what? Yep, it finished like Dancing Brave and took most of the days profit away in one go. Its great fun but be careful.